We are really excited to feature one of our favorite children's clothing brand, Mói was launched in 2013 and since then it has had a positive response in the fashion industry. I'm not only in love with it because it’s funky, urban and modern, but as a fashion designer I fell in love with the softness of its fabrics and print. This Scandinavian brand combines the high quality of its organic fabrics with urban designs to create a huge range of children’s clothes featuring their signature Icelandic raven print, using grey, black and white, as their prime colors breaking away from the ordinary. Mói's primary focus is to create unisex clothing that are stylish and perfect for every occasion. I am totally in love with Mói AW14 collection, The jumpsuits, dresses, baggy pants, T-shirts and sweatshirts are perfect for the little ones. Mia is wearing the super comfy and beautiful jumpsuit from Mói AW14 collection. Mói is a cool and urban children’s clothing brand originated from Scandinavia. Mói’s primary focus is creating stylish and funky clothes for children with a dash of attitude to inspire sustainable living, being free and of full of desire to make the earth a better place. This is done through certified production methods, which are responsible, ethical and organic. Just a couple of weeks ago and just in time for school, Skip Hop added the Zoo Insulated food jar ($18) and Zoo lunch kits ($9.00) to the kid's and parents favorite Zoo collection. 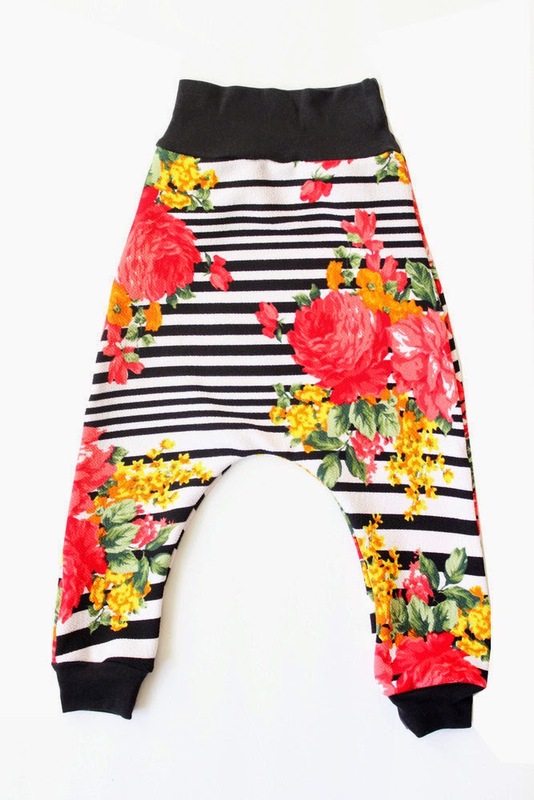 As some of you already know Skip Hop is one of my favorite kids brand. 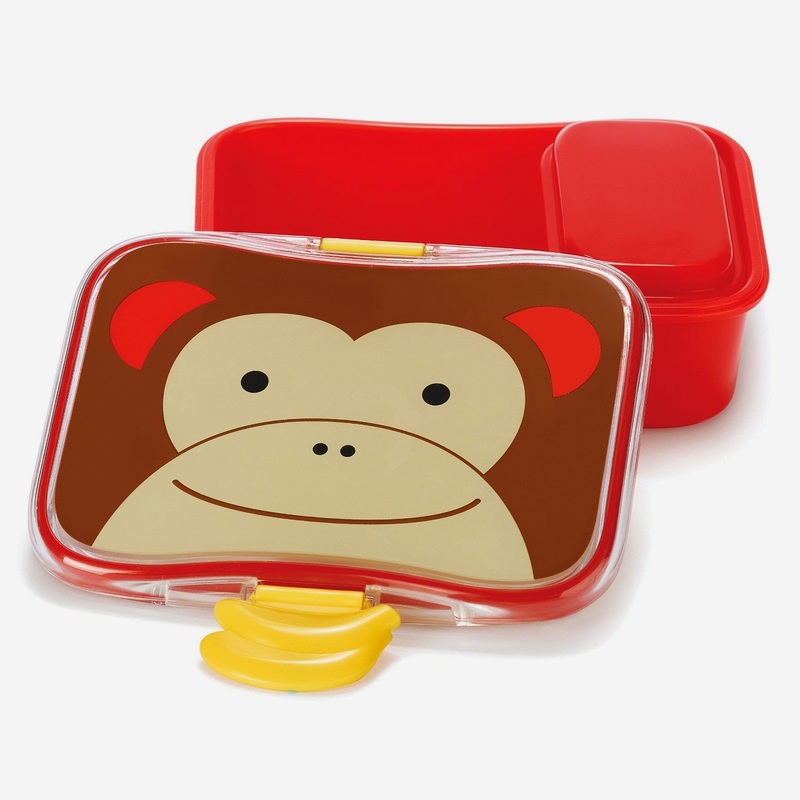 The Zoo Lunch Kits is a colorful case perfect for toting lunch or snack to school or the park. My son has been using the Zoo lunch kit and he loves it, is perfect for his snack for school. The lunch kit has coordinating clips to make it easy for your toddler to open and close it themselves. 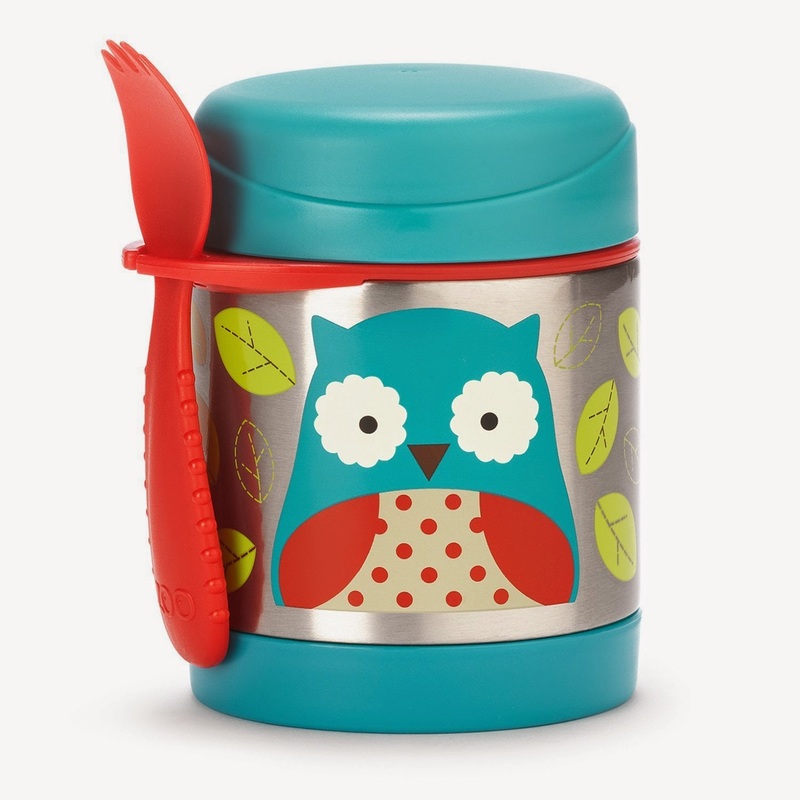 The Zoo insulated food jar is a colorful stainless steel container keeps kid-sized portions warm or cold. Store the spork, or most utensils, in the handy built-in holder so your little one is ready for meals on-the-go. Zoo Insulated food jar and Zoo lunch kits are perfect for your little ones and also with all their other beautiful Zoo products- Tableware, lunch bags, backpacks and more. You can find this adorable new products in the Bee, Dog, Ladybug, Monkey and Owl designs. For all of you who still don't have a Skip Hop, you should know the durable materials they use, make this the perfect pack for on-the-go! 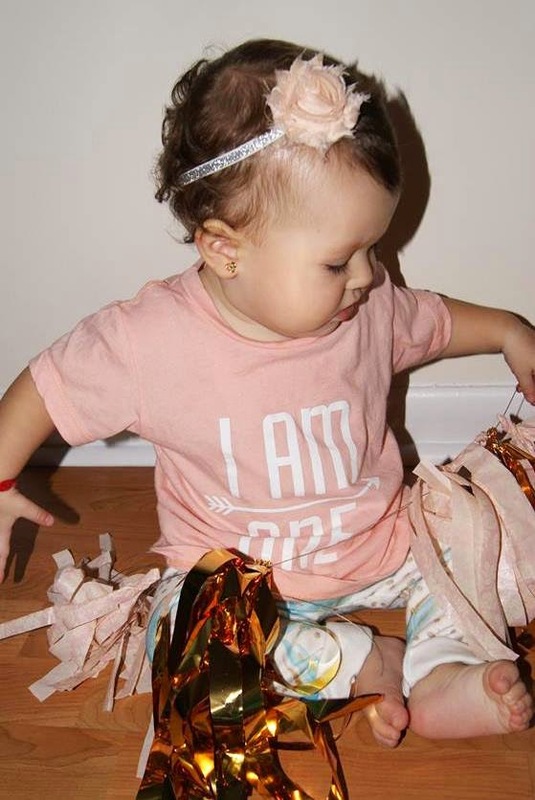 My little baby girl turned one year old two weeks ago and when I was preparing everything for her big day, one thing I knew that was a must have for her birthday was the Hatcher Press "I AM ONE" tee. Brenda is the designer and creator of Hatcher Press. 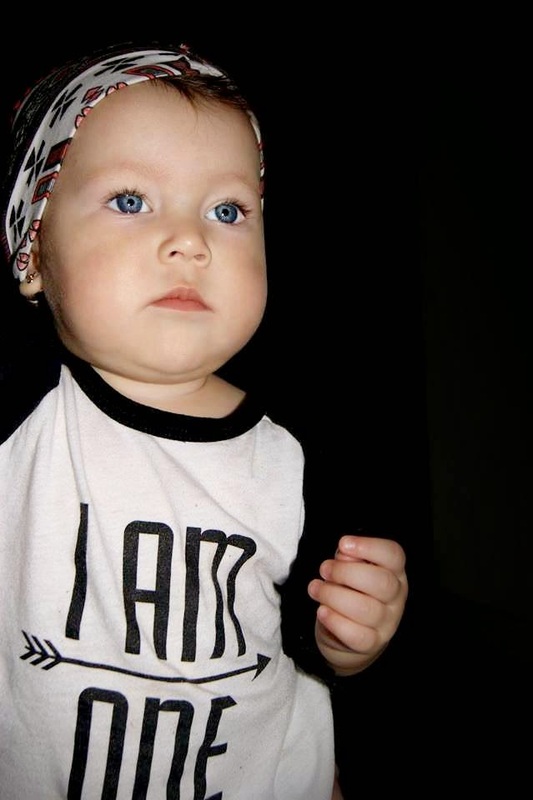 This super cute Alaskan base shop was founded in January 2014 when her son Hatcher was turning one, she couldn't find what she was looking for, so she create it, that's how " I AM ONE" tee was born. Hatcher Press Screen printed on American Apparel tees and raglan which are made of super soft cotton and great quality. The best part is that this awesome tees are unisex. 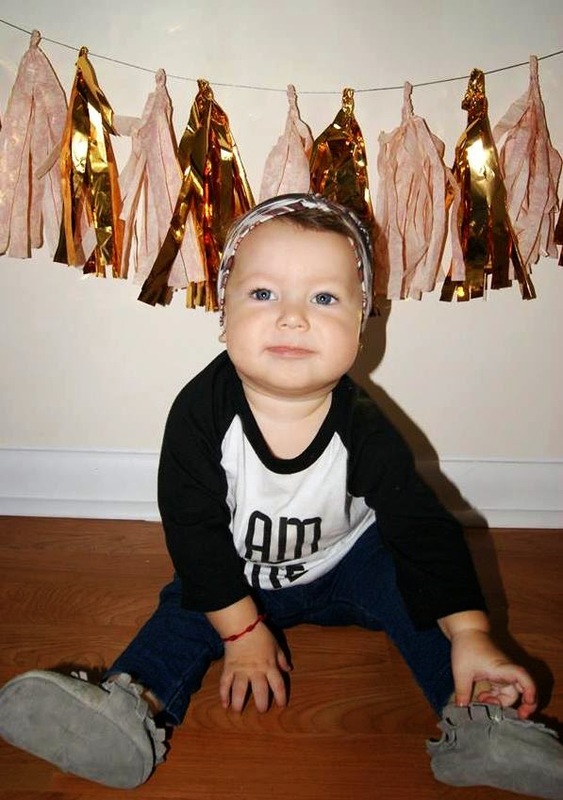 I was really excited when Brenda sent us one tee and one raglan for Mia's Birthday to feature them on the blog. We received so many complements on these tees. Definitely is a must-have for our little ones birthdays. Currently Hatcher Press has "I AM ONE" "I AM TWO" and "I AM THREE" and they are going to release next month 'I AM NEW" they will have onesies in 3-6 and 6-12 months, Will be the perfect gift for babies or mothers to be. 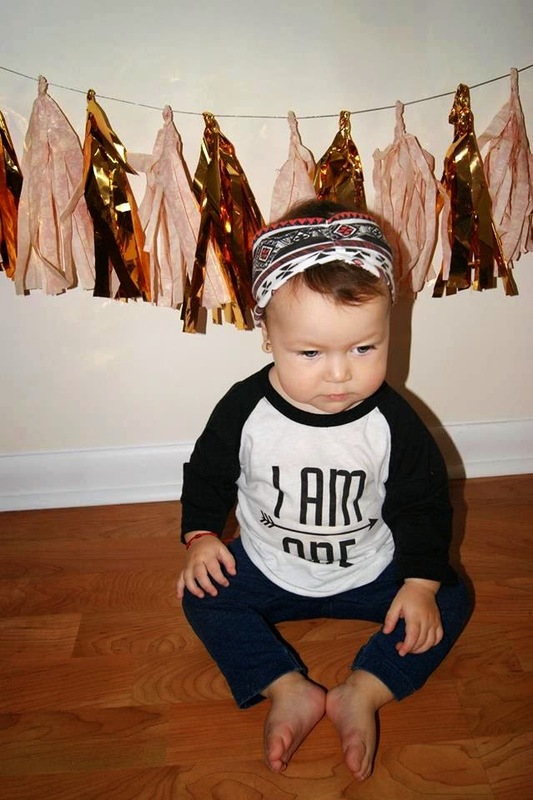 Hatcher Press "I AM ONE" tees and raglan are perfect for birthday photo shoots or birthday parties. Hatcher Press began in January 2014 when my son, Hatcher, was about to turn one. I searched high and low and couldn’t find a simple and stylish graphic tee that said, “I AM ONE,” so I decided to make one! A few of my friends have babies around the same age and after seeing Hatcher in his shirt, the orders started rolling in and Hatcher Press was born! Hatcher Press is now a line of tees for adventuresome toddlers, named after my son, Hatcher, who was named after Hatcher Pass, Alaska. One of the most beautiful and raw places on earth. Birthdays are kind of a big deal around here and we love to celebrate all year long! These tees can be worn on your little one’s “special” day and every day after! 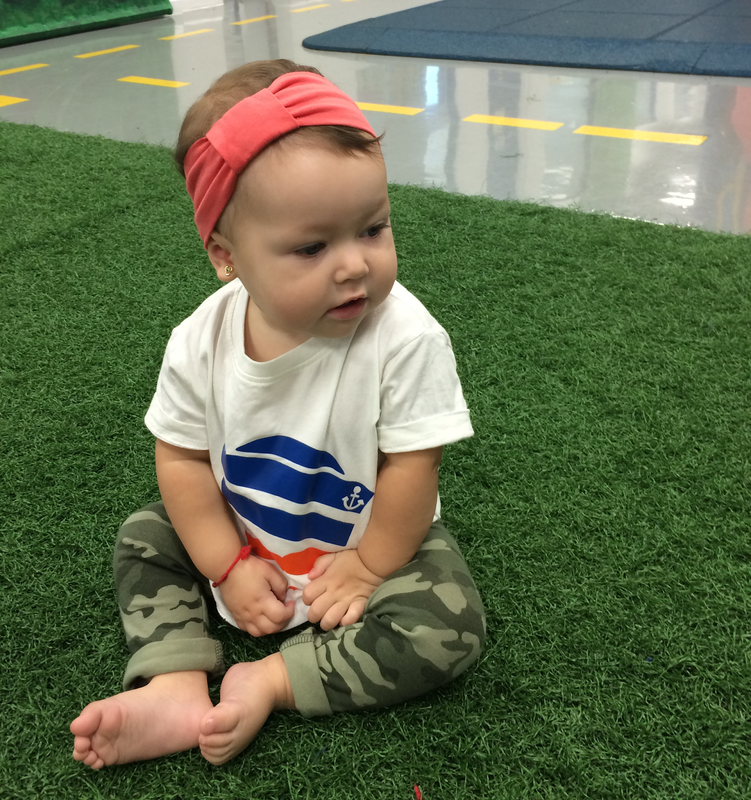 Our raglans, crews and tanks are perfect for toddlers learning to show (with their fingers) or say their age! 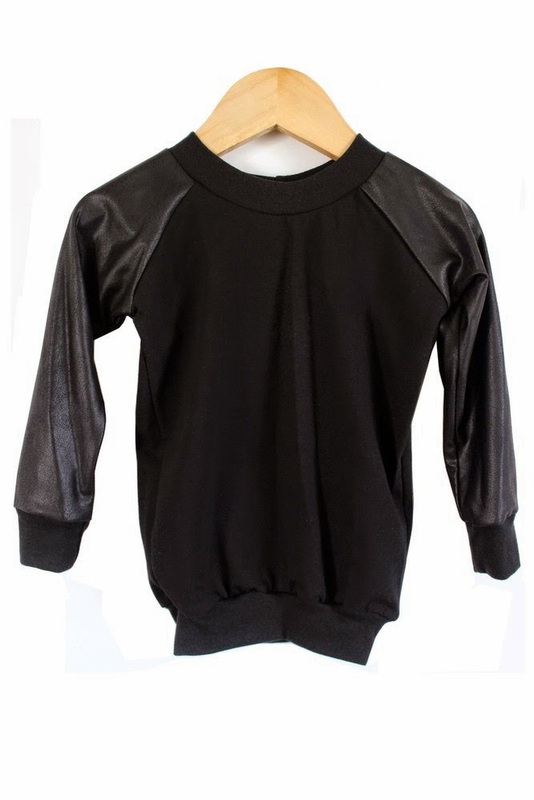 I'm so excited to be featuring one of my favorite Australian Kids clothing brand. 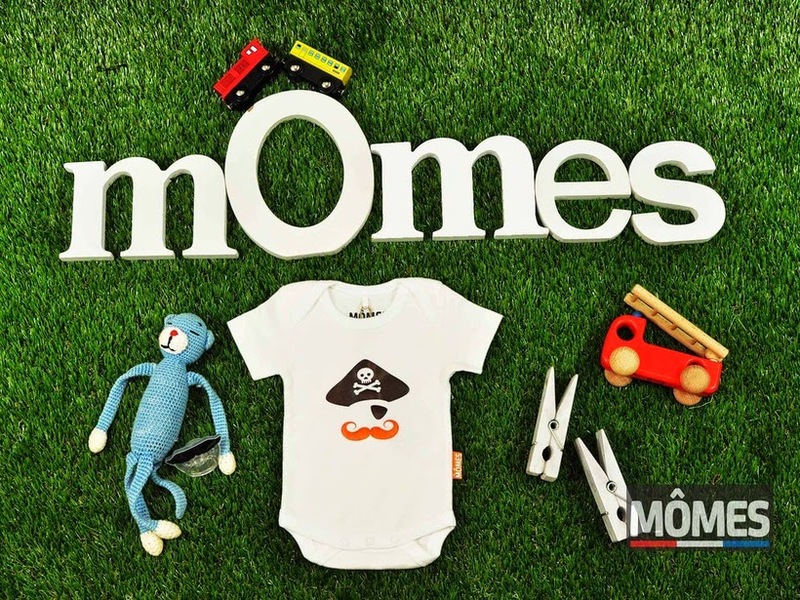 Mômes was founded in December 2013 by a super nice couple, Michael and Chloé, parents of two little boys. Mômes is a unique and super cool kids brand, inspired by the French culture and by their two little boys. All the artwork is designed by Michael and Chloé and they also do the vinyl print themselves. I'm in love with all their designs and of course everything is printed on their super soft tees. I am really happy with the quality of the tees. The materials are high quality eco-friendly dye,vinyl and 100% certified organic cotton,super soft and comfortable, Perfect for our little ones. I fell in love with the softness of its fabrics. The artwork of all Mômes tees is printed using eco-friendly vinyl, making every tee unique and super cool. They make a statement without trying too hard. 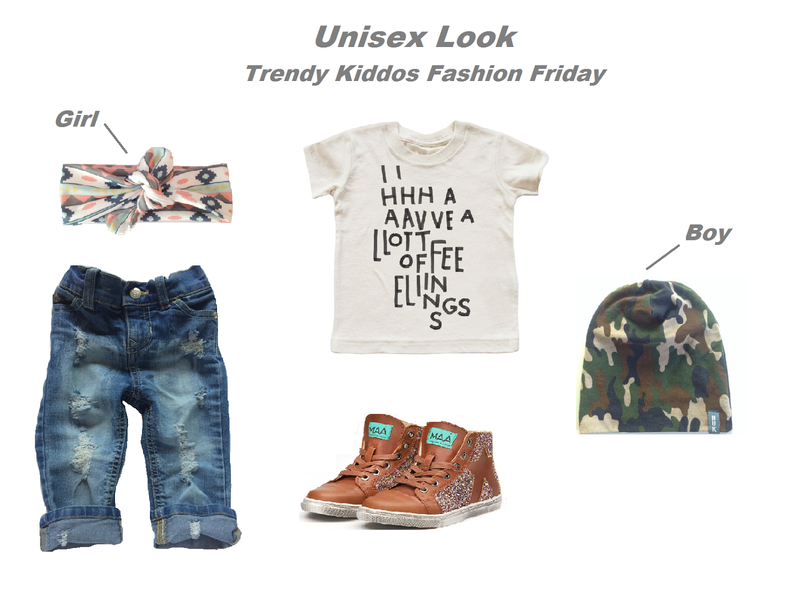 Some of you already know that I love unisex looks for kids and on my "Fashion Friday" outfits I always try to use unisex outfits, Although most of Mômes tees are made for boys they can also be worn by girls. 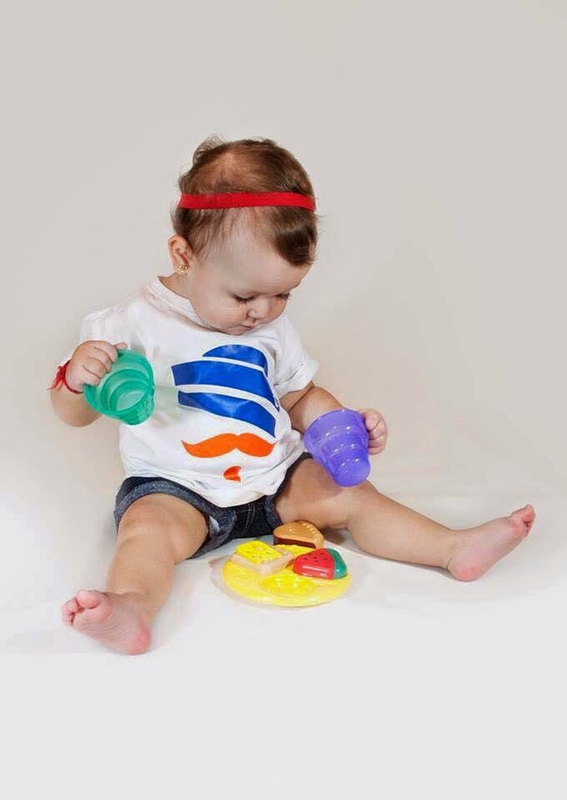 We received the "Classic - Mômes Moustache" with Laurent, our "cyclist" at the back for Valentino and for Mia the Pascal Jr." - Petit Brave Sailor. I love that Mômes is another kids clothing brand that stand out from the crowd. Their latest addition are the onesies, They are so unique and perfect for babies. 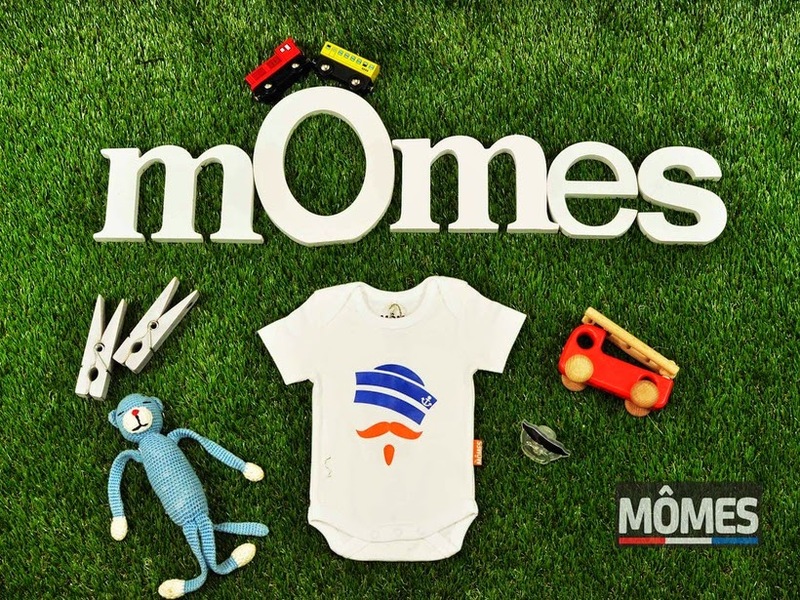 Mômes onesies are the perfect gift for babies or for a mother to be. 1. Tell us a little bit about MÔMES. e.g. Materials you like to work with, trends, etc..
We are quite picky with how we want our tees and onesies to look so its designed by us (down to the finishing stitches and seams). Our products are 100% organic cotton (certified by GOTS - GLOBAL ORGANIC TEXTILE STANDARD). The artworks and prints unique to MÔMES are created by my husband and I and we draw our inspiration from our surrounding, the French culture, through our kids and our own childhood. We prefer working with organic cotton, as we want to respect the environment and feel that eco-friendly products can help make a better place to live in and also feel that it is less irritating children’s sensitive skin. 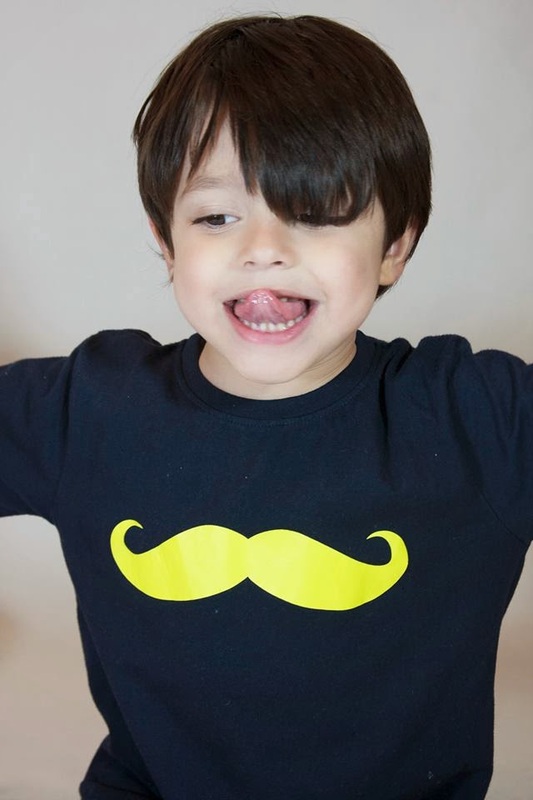 As for the style we Love to work with different moustaches designs, as it is fun, quirk, different and very much French. We are aiming for designs that are unique and different from what is on the market. All our artworks are designed by us and we love doing the vinyl print ourselves. We are actually involved in every step of the way into making the final product. 2. Who is behind MÔMES? e.g. tell us a bit about the owner and the reason why MÔMES stared. We are Michael and Chloé, parents of two gorgeous little boys and just launched our brand in mid December 2013. MÔMES is French for “ Little dudes”. It took us about 3 months to decide on the name. We wanted a French name because I (Chloé) was born and raised in France and wanted a name that reminded me of my roots but we also wanted to relate the name to our babies, so we felt that MÔMES was the right choice for us. 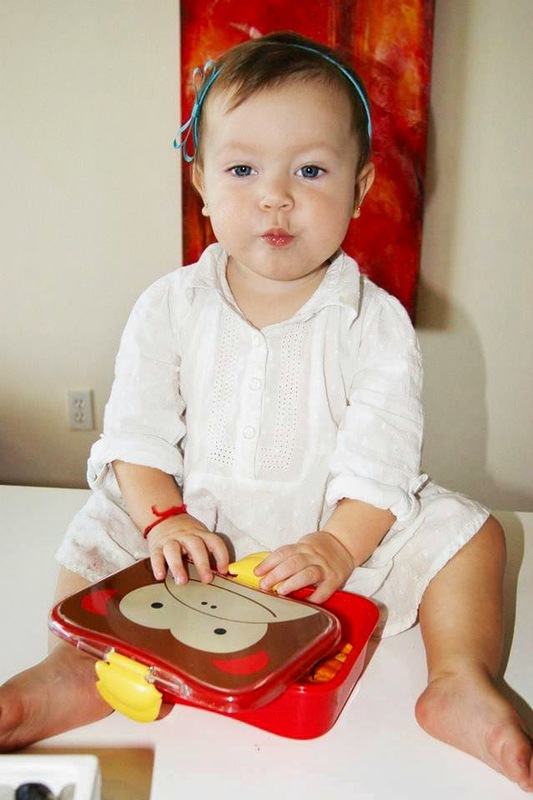 We love handmade organic brands such as baby legginco and Mister. I which are small Australian businesses but they make so many beautiful items, they have so much talent and are very creative. The most important is to enjoy what you do and be inspired everyday. Expect to make mistakes as not everything will be perfect at first, we are still learning the ins and outs of it but enjoy exploring and learning as we go. 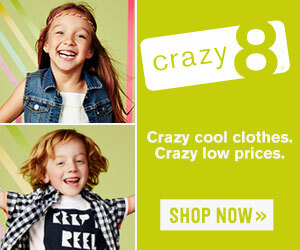 I am always on the lookout for cool and unique kids clothing and Two Little Kings is just that. Two Little Kings is a super cool kidswear brand that caught my eye with their prints and simple, but cool designs. Carmina better known as Mina is the designer and creator of Two Little Kings. This awesome Californian base shop was founded in 2013. 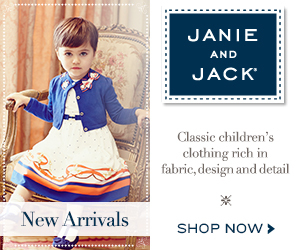 I am totally in love with Two Little Kings AW14 collection. The rompers, harem pants and raglan sweatshirt are a must have for this season. 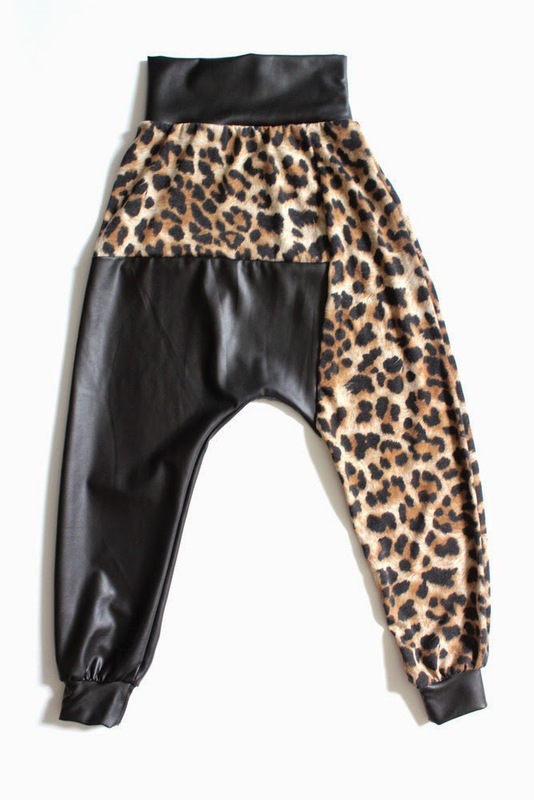 Personally I am crazy with faux leather, it just looks so cool on the little ones and Two Little Kings has some amazing garments with it. We received the Black Romper w/ Suede Pocket and I must say that I totally loved it. 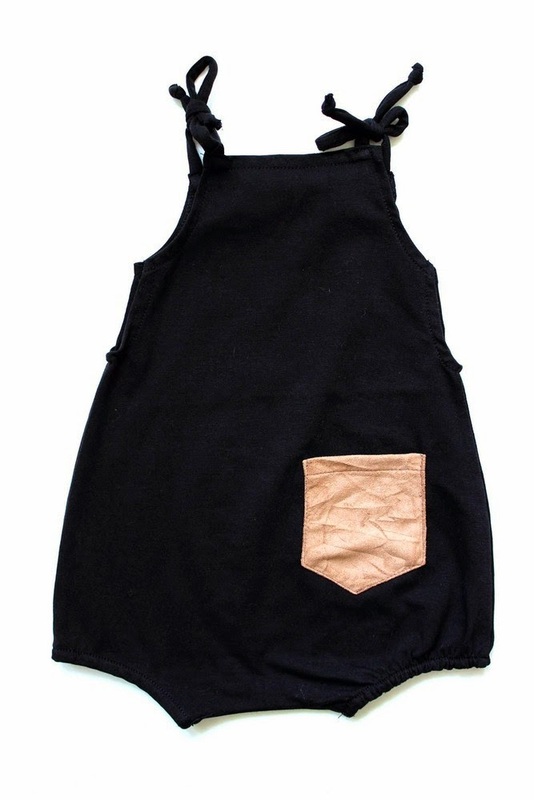 The romper is super comfy and the faux suede pocket looks super cute. All the items from Two Little Kings are handmade and every garment is unique and one of a kind design. "I'm Carmina everyone knows me as Mina:) Mommy to two beautiful boys! Designer and Shop owner. Two Little Kings started in September 2013 but officially opened Etsy shop in December 2013. We have been very blessed by the response and now we have our own website, yuppie! Honestly one of my dreams come true. I love fashion, I love to design and create, my kids gave me the passion for children clothing and they are the inspiration for the name Two Little Kings. Everything is designed by me and created in Cali. We aim to make our customers feel comfy and beautiful with the outfits we create. With the goal of providing exceptional, fashionable clothing for your little hipsters, we pride ourselves in our customer service. Our beautiful selection of fashion, harem pants, leggings, raglan sweatshirts, skirts, slouchy beanies, dresses, headbands and harem shorts are forever changing. As I continue to brand and build the presence of Two Little Kings, I hope you enjoy my products enough to keep coming back! I truly thank you for your support"
I first heard of Finomenon kids when I was browsing through Instagram for cool T-shirts to feature on Trendy Kiddos Fashion Friday. Makel, owner and designer of Finomenon Kids was inspired by her son Fin ,music, dance and art to create a unique brand. We are huge fans of unique and cool brands for kids and Finomenon Kids is one of them. I love the graphics on their tees and how comfy they are. All their t-shirts are unisex which is great!!! 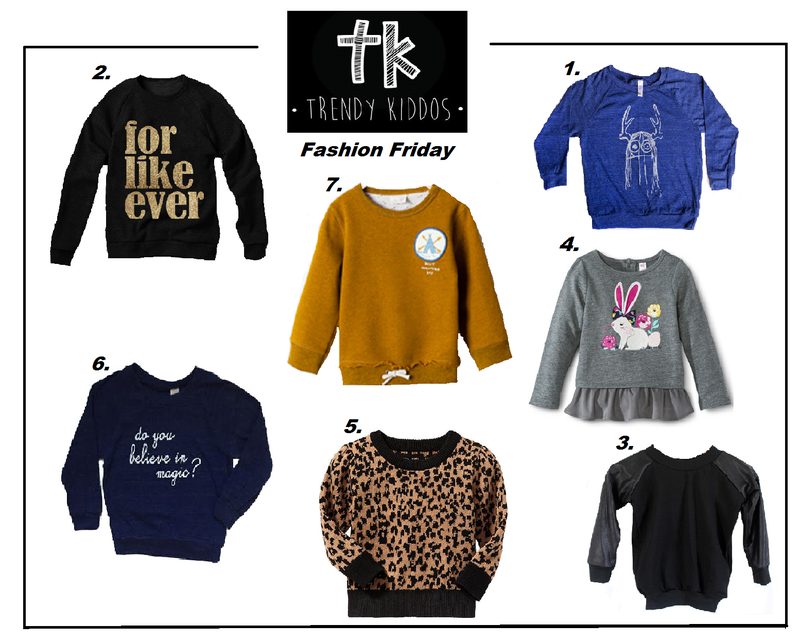 Finomenon Kids is trendy, hip, cool and I just love their T-shirt and onesies. 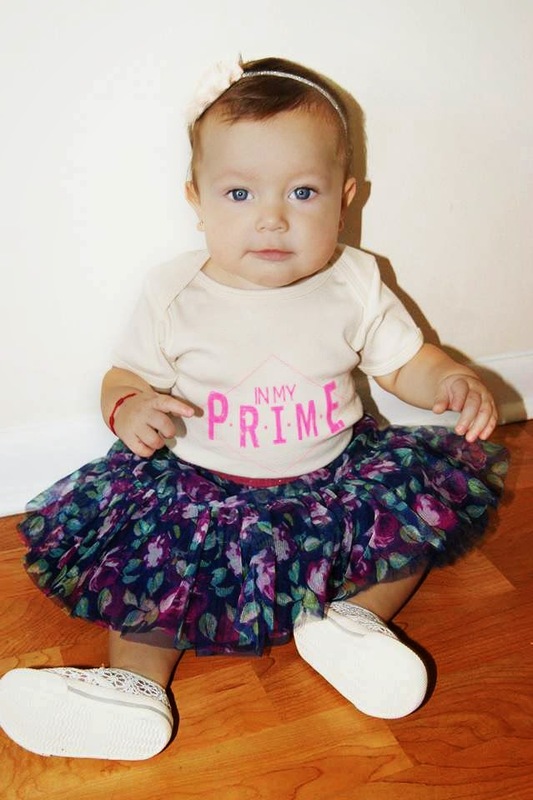 We received the "In My Prime" onesie and we love it!!! I was so excited when I received an email from Christina the Co-Founder of Les Deux Amis because I love brands that are unique and Les Deux Amis is one of them. We received the heart evil pink onesie and I have to say that is so cute!! The quality is great, super soft and comfy. Les Deux Amis is a kids and women apparel and accessories brand. owned by two friends, Anni and Christina bringing a fresh twist to the tradition of the evil eye charm. In some cultures, the evil eye is a tradition, the charm is often pinned to a personal item to bring luck and to protect its owner . 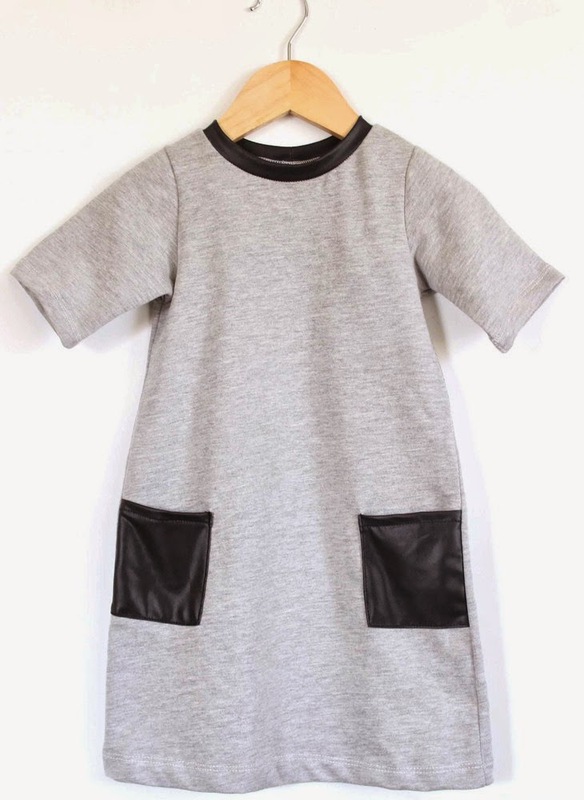 Les Deux Amis is a super cool new brand, perfect for you and your little ones. 1. Tell us a little bit about Les Deux Amis e.g. Materials like to work with, trends, etc. Les Deux Amis (shopLDA) is a women and kids apparel and accessories line. We take pride in working with the most comfortable and basic materials. 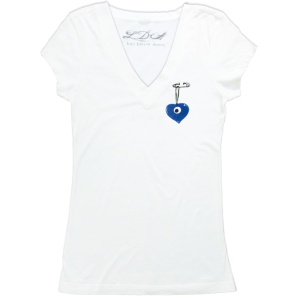 All of our apparel for women and kids are 100% cotton and our designs are original hand-drawn artwork based on an old time tradition with a modern twist. Our baby onesies are available in a variety of colors, are 100% cotton, have easy snap closures and are perfect for the little ones in your life! We are currently experimenting with different materials and we love everything recycled and organic. As far as style trends, we are both very much attracted to simple, clean, fresh looks and anything that is based on an original idea. We like to keep things fun and classic! 2. Who is behind Les Deux Amis ? e.g. tell us a bit about the owner and the reason why Les Deux Amis stared. Les Deux Amis is a French phrase that translates into "The Two Friends" which is where it all began. Co-founders Anni and Christina have been friends for over 20 years and started their company in Los Angeles, CA. 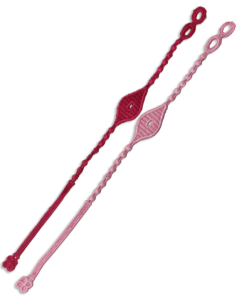 They wanted to share the evil eye universal design in a fashionable way by adding their own original touch. shopLDA views the evil eye charm in a positive light that brings protection and luck to whom it is worn by. In our cultural tradition, the charm is often pinned to a personal item to bring luck to its owner (especially new born babies!). LDA hopes to bring protection and luck to all of the trendy kiddos out there!